The concept of the Pure Magic Battle for the Bay Water Sports Festival is very simple: Wind, Water…and Fun!!!  Lives can be transformed through a wide range of events taking place, so we make it our business to ensure that it is easy for people to volunteer to get involved with public events, and that our Event Volunteers get the most out of their participation. If you like to get down with the action, Event Volunteers provide a mobile event and information service to those attending public events. As a source of information about the event, local facilities and transport links, Event Volunteers role is to make sure visitors to an event have all the information they need to enjoy their time. Volunteering with Event Volunteers is an opportunity to put your skills to use in one of the most diverse communities in the country. You will have the chance to develop new skills, meet new people and be a part of some of the biggest events. If you are aged 16 or over (18 in the case of some events) and are motivated to be part of some great events then you are eligible to apply to be an Event Volunteer. You can fill out an online application form and we will review your application. If you are suitable we will then contact you with details of upcoming events. In all cases food and refreshments will be provided at the venue for Event Volunteers. Additional recognition can be found for each event on our web site. Each event also has some other fanastic freebies for our Event Volunteers such as free tickets, T-shirts and other useful nice things that we know Event Volunteers like. You can choose which events you volunteer at. We will update you regularly with details of upcoming events, however it is up to you which ones you choose to attend, depending on your availability. We ask that you attend at least two events once you have attended one of our training days. To find out more about what we do simply download our Event Volunteers brochure. You can volunteer with friends as long as you and your friends have completed an online application form and been accepted as Event Volunteers. We will, where possible try to place you in a group with friends. All Event Volunteers are invited to attend an orientation training course, which will equip you with the necessary skills to become a great Event Volunteer. A progression route is available to all successfull volunteers through to training to become Event Volunteers Team Leaders.